The Best of British Challenge has moved on, it started in Cornwall at the Chocolate Log Blog, then I took over here on Farmersgirl Kitchen with the Scottish challenge, last month Yorkshire was the county of choice over at Lavender and Lovage. 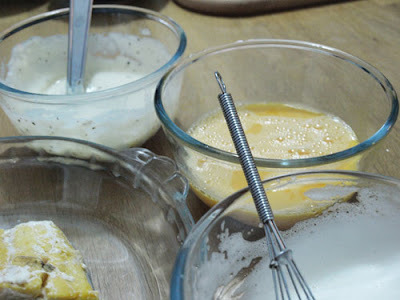 I didn't have any trouble thinking of recipes for the last three, but when Fiona at London Unattached announced that she was hosting for 'London' I was really stumped as to what to make. I toyed with 'London Particular' a yellow split pea soup which is supposed to resemble the fog known as a London Pea Souper. Then I thought I might make bagels after learning about the long tradition of bagel-making in the east end of London. In the end, I stumbled across a recipe for Omelette Arnold Bennet and I knew I had found my London entry to the Best of British Challenge. The Omelette Arnold Bennet was created by the chefs at the Savoy Hotel in London for the writer Arnold Bennett, he loved it so much he insisted on it being made for him wherever he travelled. It's still on the menu at the Savoy to this day. 1. Place the fish in the milk and cook gently for about 10-15 minutes until the fish is cooked through. Remove the fish to another dish. 2. 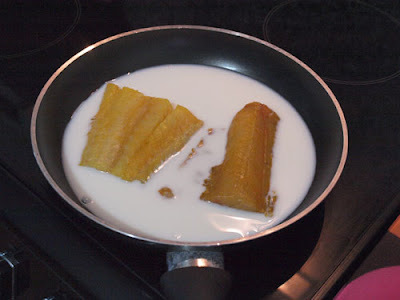 Mix the cornflour with a little cold milk and pour the warm milk from the pan into the bowl. Mix well and return to the pan, cooking through until thickened, add half the grated parmesan, season and stir in the yolk from the separated egg. Leave to cool. 3. Beat the white from the separated egg in a large bowl until it forms stiff peaks and set aside. 4. In another bowl, beat the 4 whole eggs. 5. Break the haddock into large flakes. 6. Heat the butter in an omelette pan. 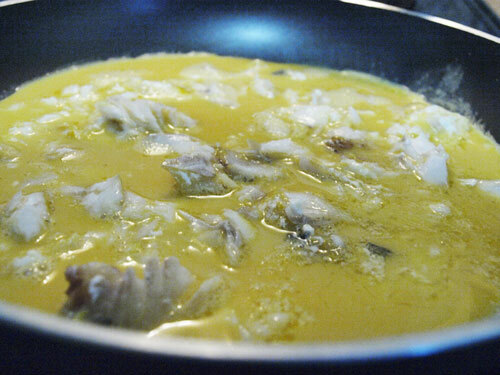 When it is frothing, but not browned, stir in the haddock and pour in the beaten eggs. Stir the mixture then cook for a minute over a medium heat. The top should remain moist with liquid egg in the centre. 7. Stir the stiffly beaten egg white into the Parmesan sauce and spread the sauce on top of the mixture. 8. Then put the pan under a pre-heated grill. After about half a minute sprinkle the remaining Parmesan on top and grill for another minute until the surface is spotted with brown. 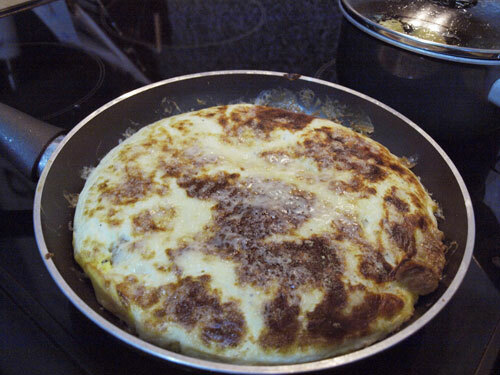 Slide the omelette from the pan to a warmed serving plate. Do not fold the omelette. It's not the most photogenic of dishes, but we enjoyed the different textures of the layers and the salty, tangy flavours of the smoked fish and parmesan cheese pefectly offset by the eggs. We raised a glass to Arnold Bennet and the chefs of the Savoy Hotel, for introducing us to this exceptional omelette. I love smoked haddock and I love the savoy! And I do actually quite like omelettes...so maybe I should try this? That looks very lovely, Janice. I like omelette very much, but so far have never tried this one. A fantastic entry for London. The history of dishes can be so interesting. Great post Janice. Oh I love this classic combination and think it is a perfect choice. 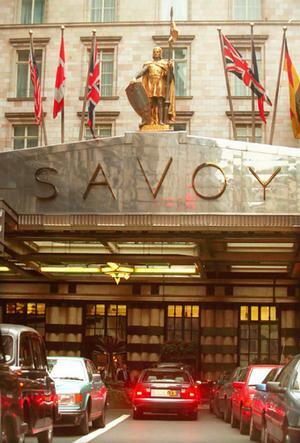 I would love to go and see the Savoy now it's had a massive refurb but there are just so many other great places to visit too. I have half written my post and am hoping to finish it soon, seeing as I am a West London girl myself!! This looks good, I have added smoked haddock to an omelette before but have never cooked the true Omelette Arnold Bennet; time to have a go. It was really easy to make and tastes so much better than it looks! 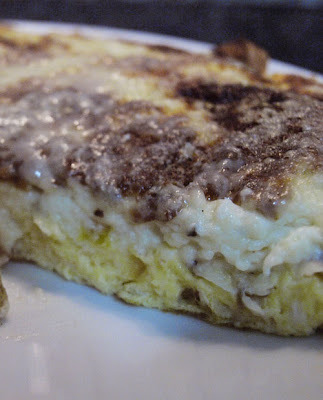 My VERY VERY favourite omelette recipe and you have my vote already Janice! Yummy! Thank you for flagging up this omelette and it's history, I have never one so will have to right that wrong!